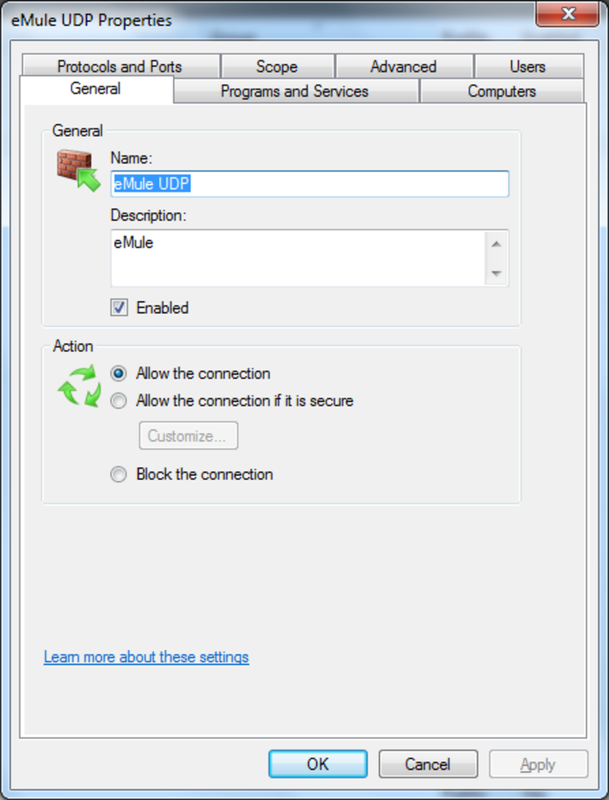 After moving to Windows 7, I found that my eMule was connecting only with Low ID. This did not happen when I was on Windows XP, so it had to be something that Windows 7 introduced. 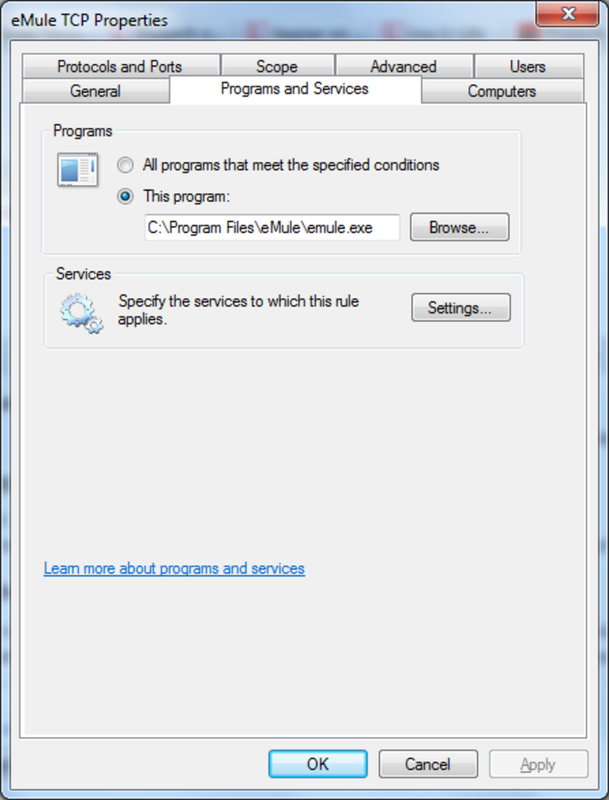 Googling, I found that the solution was to set the Windows 7 firewall settings for eMule, correctly. 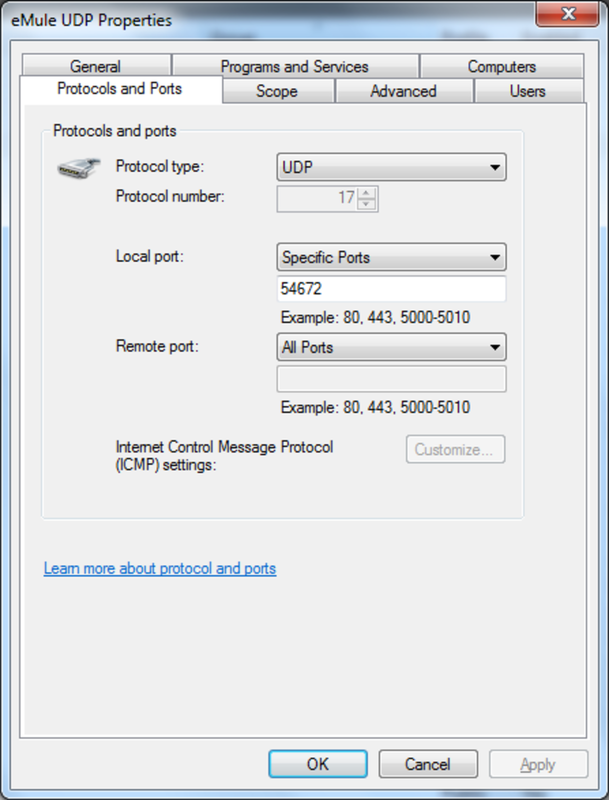 In your eMule client, go to Options/Connection/Connection 1 and note the TCP and UDP Client port numbers. Also, make sure the Disable next to the UDP is not checked. 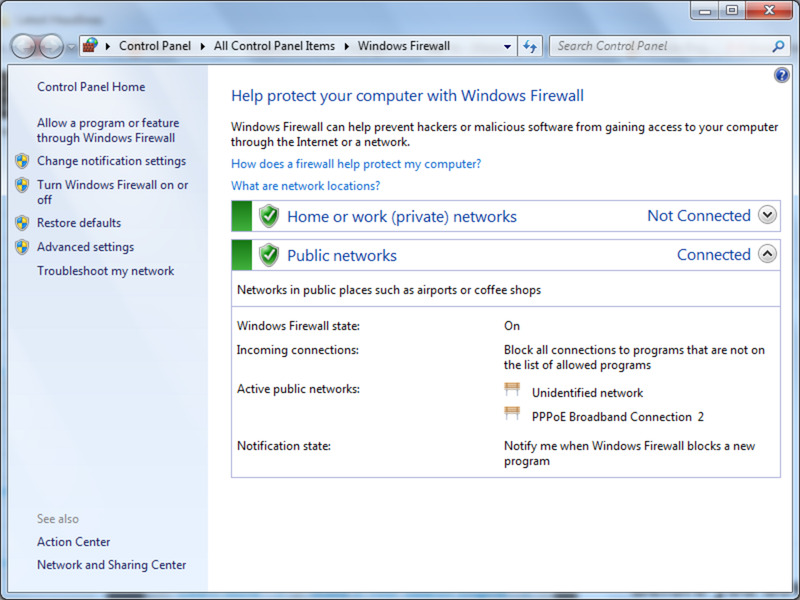 In Windows, make sure the firewall is turned on. 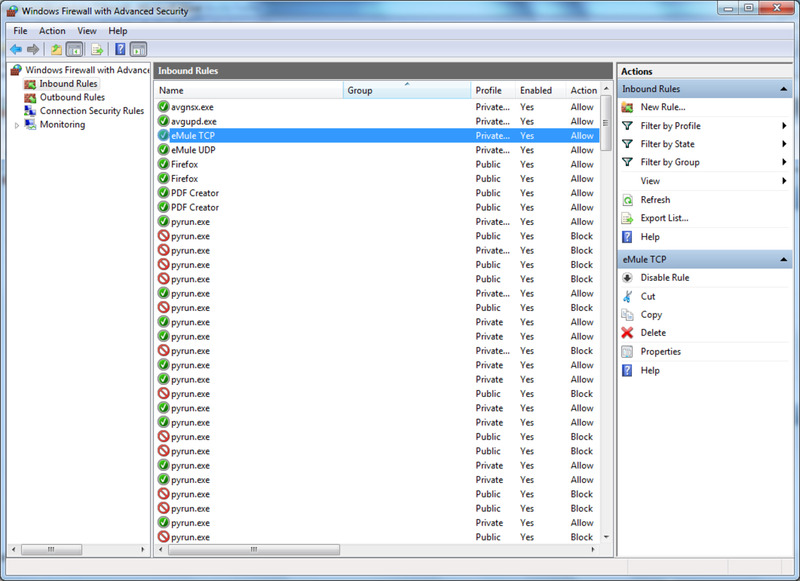 To turn on Windows Firewall, go to Control Panel/All Control Panel Items/Windows Firewall. 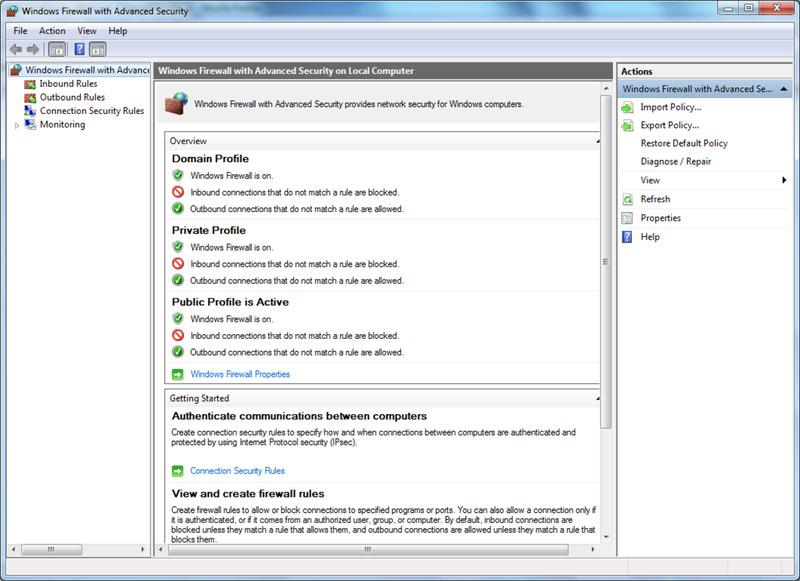 Then choose Turn Windows Firewall on or off from the left-hand list. Now choose Advanced settings from the left-hand list. Close all dialog boxes you used to define the ports' rules. Use file/exit from the firewall window. 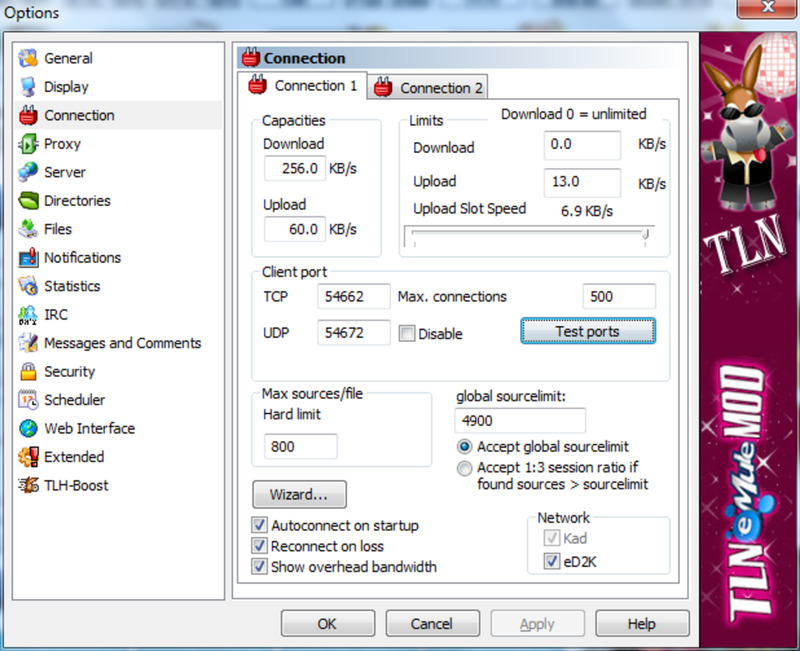 In your eMule client, go to Options/Connection/Connection 1 and click the Test ports button. If you see the following in the browser window, you're done. Enjoy your new High ID. All screen captures are from eMule v049b LH UltraFast 9. Worked great for me. Thanks for German People. 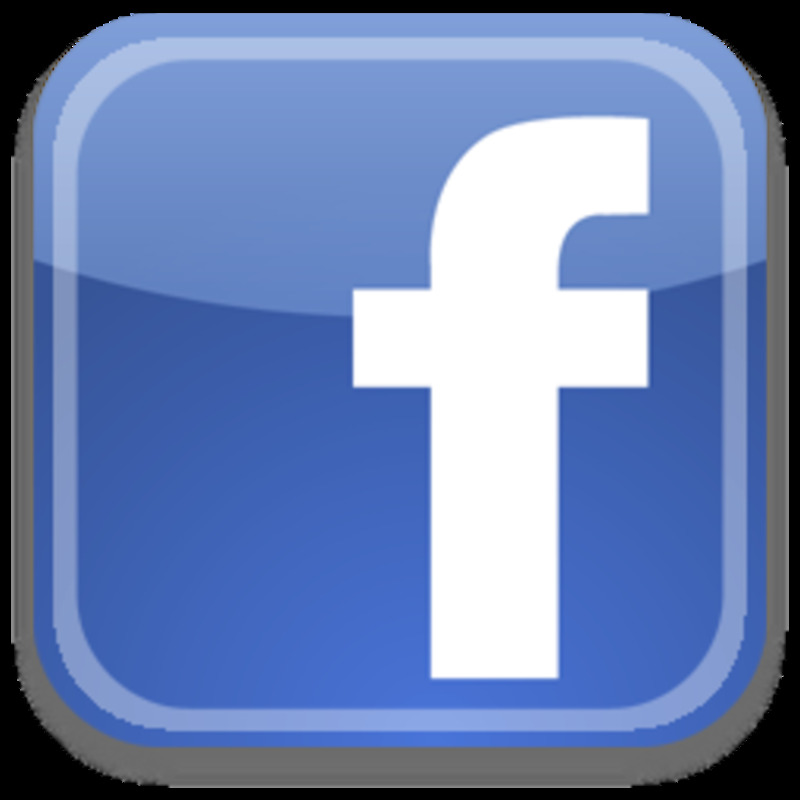 Very nice post, I would like to add - Sometimes we need to take expert advice to resolve some issues because some problems exists again and again after assist them by ourself. Great! Finally it works! MegaThanx! You may want to try that thread suggestion. I got an error message about edge traversal and changing the "scope" but I don't know what to do. So I blocked all edge traversal. I still have low id. TCP test failed! UDP test will not be performed. It was not possible, to establish a TCP connection to your eMule. Other users will only be able to connect to you with the help of a server, resulting in a low ID for you. 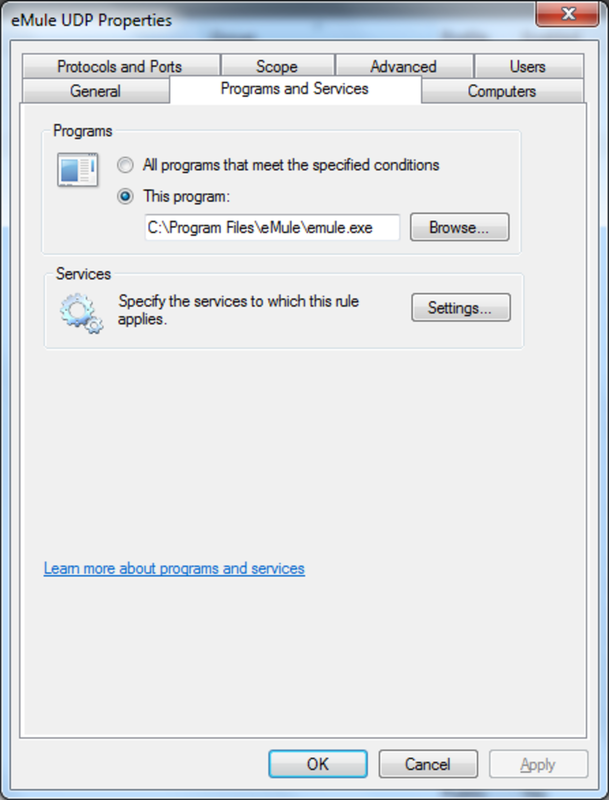 While eMule still works, this will give you several disadvantages. Therfore it is highly recommended to solve this problem. If you are using a firewall, ensure that your firwall don't block the required ports! You might need to set a rule to allow the ports to be available. If you use a router, make sure that your router forwards the required ports to your local IP! Worked great for me. At first messed up but I realized my TCP and UPDs were originally different from those in the pictures. Make sure you change the ones on eMule to match th others (UPD- 54672, TCD- 54662) and that's what made it work for me. Thanks again! My guess, lovkal, is that there's a mismatch in the number of TCP port in the firewall rules and in eMule. Make sure the same port number appears on both. 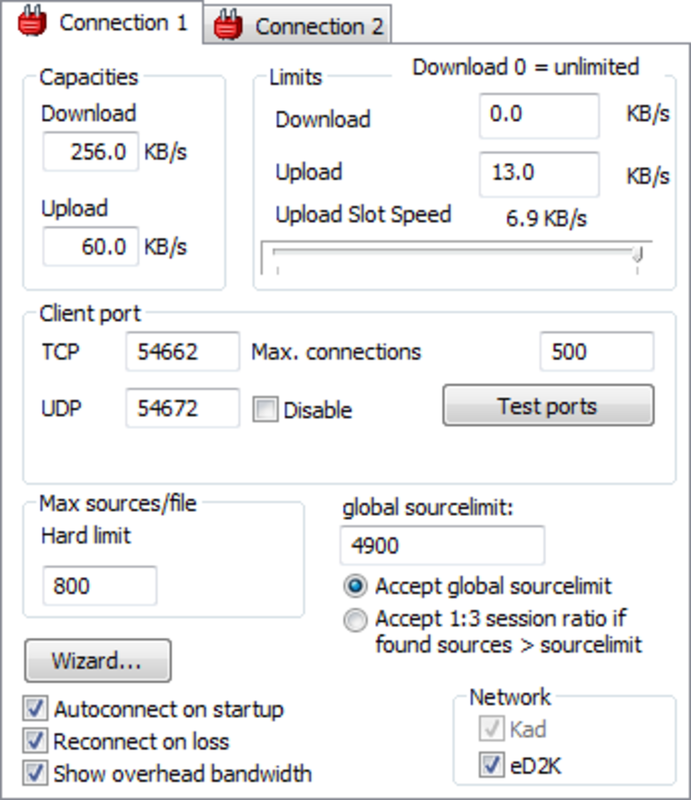 In Advanced settings, you can specify the interfaces used for the connections. First I thought that you can simply use LAN only. Remote Access must be activated for the high ID to work. Don't ask me why. 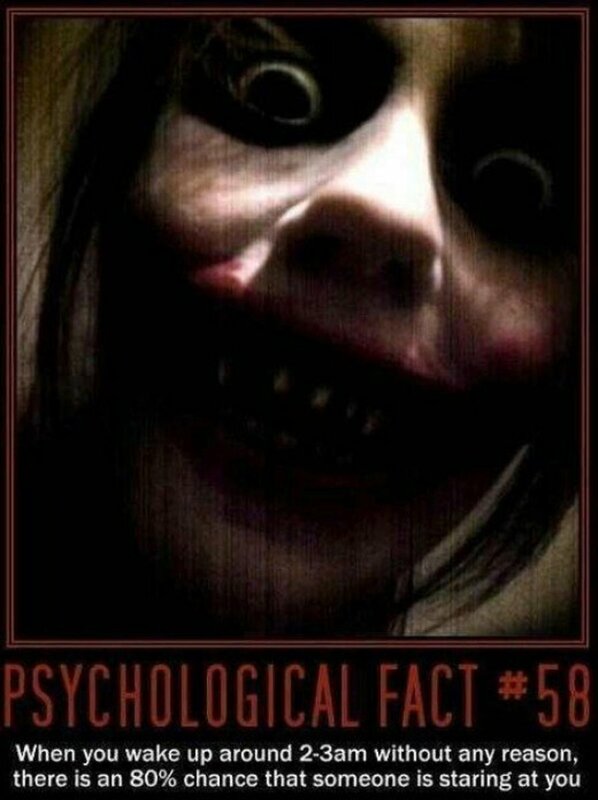 Just thought I'd mention it. Trust me, I tried it all. Testing ports failed. Also, I think that in my list emule TCP and UDP just go by the name of emule, but on the right, it says 'TCP' and 'UDP'. I did all written above, didn't change much. Chase, go to http://porttest.emule-project.net/ct_frame.php?lan... and take it from there. BTW, did you consider that GIYF: http://www.google.co.il/search?q=emule+tcp ? I have no emule TCP in my list. What should I do?